We Are Showcasing Women Soon! Women in Tech Africa is out on a mission to show what a strong African woman is capable of. In light of this, we are about to embark on a journey of telling our stories. We want to bring to surface incredibly inspiring women with diverse backgrounds, thoughts and actions. Women who have powerful stories to tell. Women who have defied odds to be who they are today. We want to celebrate these women and to encourage others too. 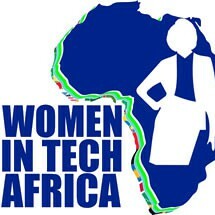 http://www.womenintechafrica.com/amazing-women-in-tech/. On that note, we highly encourage Women in Tech Africa members to update their records in the membership database. Also, we will be embarking on the #womentechAfricaRock campaign. This will be in an effort to showcase the amazing Women in Tech Africa and their elements through photos, videos and blog articles. Or fill this online form https://docs.google.com/forms/d/12xh0J1NXO-hAWa-SEe_FdZe887WhtKg4Rtt2M6Re6t0/viewform?c=0&w=1.The women can also post a photo of themselves in action on twitter or facebook, then tag Women in Tech Africa along with the hashtag #womenintechAfricaRock. We believe this exercise will help bring to light amazing women in the tech sector. We also believe it will give recruiters and event organizers visual examples of very capable women. No more concluding that you can’t find women to hire, or speak in events, or invite to boards. Women are here! Our hashtag is #womentechAfricaRock. Stay tuned!